Pick My Next Import Review! Discussion in 'General Gaming' started by Heath, Jun 29, 2014. Which import should Heath review first? Poll closed Jul 9, 2014. Hello PSLS forum community! I've got 3 Japanese games on my "To review" list right now. All will get reviews on PSLS, as soon as I can finish them all and write the reviews. But I wanna hear it from you: which one do you want to see first? “Akiba” is short for “Akihabara,” a district of Tokyo famous for selling a wide variety electronics, of course with an emphasis on games, manga, computers, and other things that one might associate with people like…people like…well, me. The title “Akiba’s Trip” is a play on words, because when you say it fast, it can sound like “Akiba Strip,” fitting of the game’s theme of tearing clothes off of passers by. You read that right. You see, there’s a vampire-zombie-thing problem in Tokyo, and everyone knows that when a vampire’s skin is exposed to sunlight, they disintegrate, right? Of course! Much in the spirit of the Salem Witch Hunts, your job is to yank people’s outfits right off their bodies and see if they die. If they do, good job; if they don’t, well then it’s a little bit socially awkward, but no harm done. "I love the premise and world though, that's for sure. Players begin in prison, which made me lovingly remember Elder Scrolls, but similarities pretty much end there. Prisoners are often given ridiculously long -- actually impossible -- sentences, but can work down their time by helping the nation's war efforts. 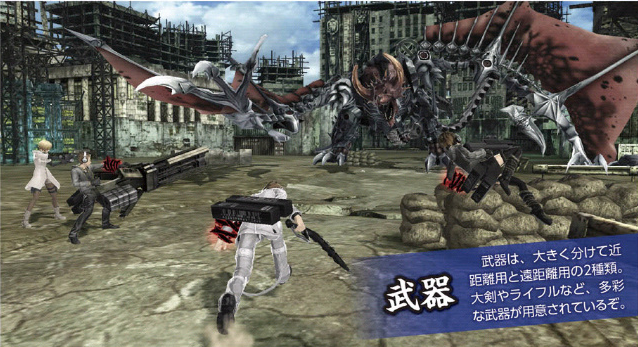 That's where the hunting and fighting come in, and that's where Freedom Wars's greatest strength can be found." School girls are told that tankery can make them more womanly. Women have always climbed into tanks and done battle to accentuate their feminine qualities. So it's no surprise that all of Japan's all-girls schools become locked in tank battles. It's that slice of life story we can all relate to, right? So which one should it be? Vote now! Jacky and chichi like this. What do you mean by import friendly? I picked Freedom Wars but I guess girls and panzer makes more sense since the other two are already releasing in the states. 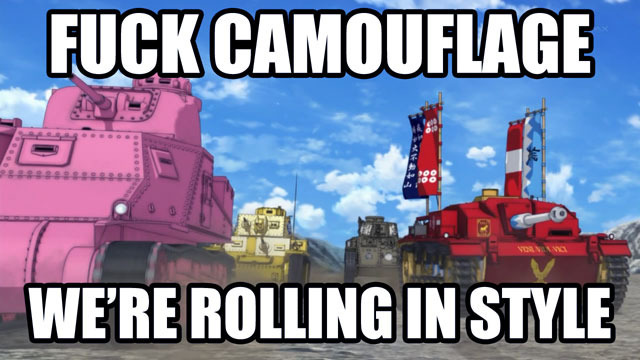 Dammit, I prematurely voted for Freedom Wars, but Girls & Panzer sounds like a much more interesting game. Plus, I really love reading your import notes. I don't think Akiba's Trip is. NA is getting Akiba's Trip 2, but not the original PSP game, I don't think. Unless the NA version tosses in the original too? I wouldn't expect so, but I suppose it's not impossible. One of us is mixed up here and I don't know who it is! Either way you look at it, it's a good selection. Akiba strip only piques my interest cuz it sounds funny. Otherwise i would love to hear about girls and panzer. Girls & Panser please.... Freedom War is being translated anyway. No need for an imported review! Jacky and stolenxnametag like this. I voted it also for the same reason. Akiba and freedom wars is confirmed for western release but panzer tanker might end up being a japan/asia exclusive game. Actually, Akiba is not. 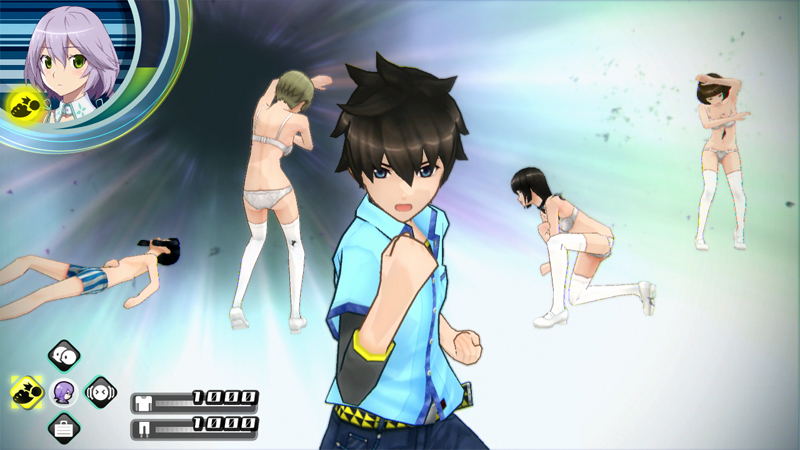 The game you're getting is Akiba's Trip 2 for PS3. The original PSP game was, is, and apparently always will be Japan exclusive. Not at all. Everyone said AkibaS trip 2 is a much better game than 1.